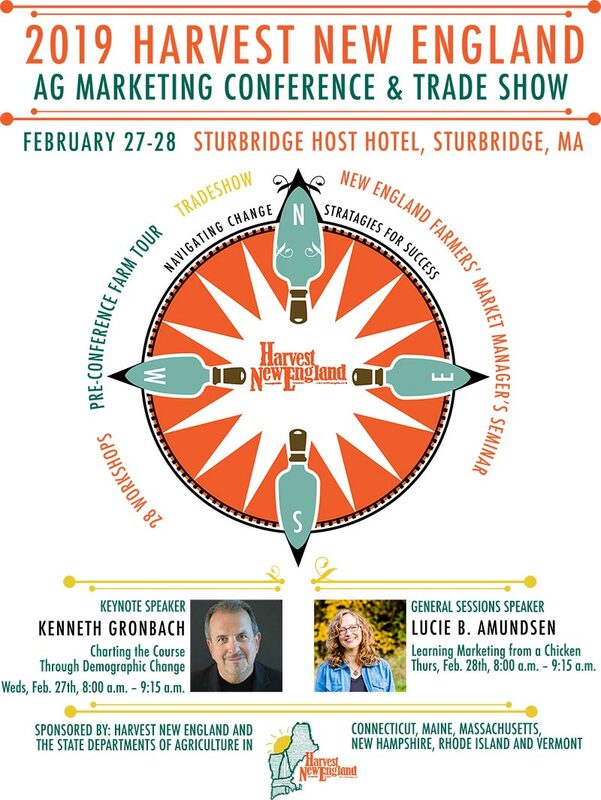 Harvest New England and the New England State Departments of Agriculture are pleased to announce that they will once again be hosting the Harvest New England Agricultural Marketing Conference and Trade Show. The conference will be held at the Sturbridge Host Hotel & Conference Center in historic Sturbridge, Massachusetts, on February 27-28, 2019. Twenty-six breakout sessions, two general sessions, a New England Farmers Market Managers workshop, and a full trade show with nearly 100 vendors are planned over two days. 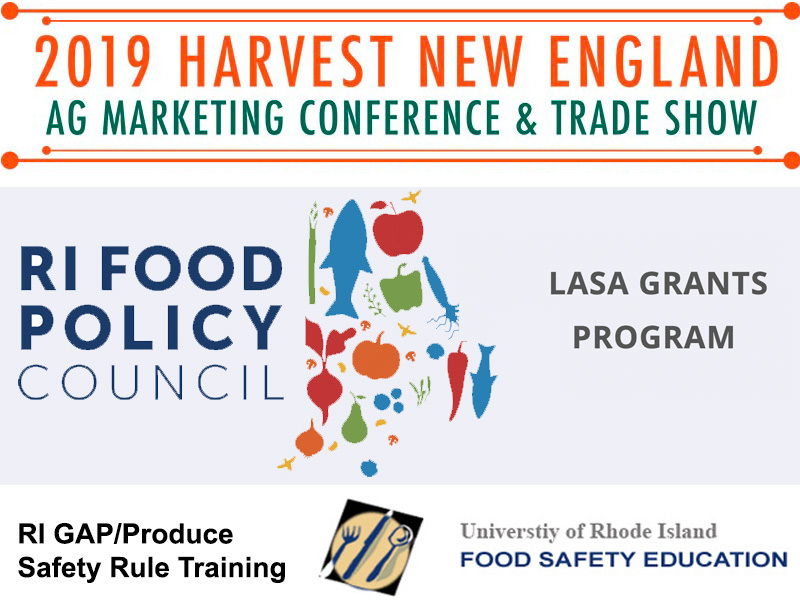 Agricultural producers from across New England will come together to learn new marketing ideas or fine-tune current strategies for business success. The goals of this biennial conference are to improve and develop new marketing ideas, to share information, and to improve state and agricultural business cooperation. The 2019 Local Agriculture and Seafood Act (LASA) Grant Program is accepting applications through March 8, 2019. The goal of the LASA Grant Program is to support the growth, development, and marketing of local food and seafood in RI. Need technical assistance? Join the RI Food Policy Council’s webinar Wednesday, February 13, at 1pm. This webinar will go over LASA Grant Program priorities, eligibility, assistance, awards/administration, and review/scoring. It will include time for Q&A at the end. It will be recorded and posted to the RI Food Policy Council and RI DEM websites after 2/13. Register in advance for the webinar on Zoom. This registered two-day training on March 27 and March 28 is approved and compliant with the requirements of the FSMA/Produce Safety Regulation. The training will also allow farmers to become part of the voluntary RI Good Agricultural Program (RI GAP). In combining the training, RI farmers will have the option to obtain the PSA/AFDO certificate that will prove you have taken the “approved” course per the rule. Learn more and register by March 11.